Lease Pricing - SPECIAL TEST MARKET PRICING - Contact Dealer for Purchase Pricing **$500.00 LOW PRICE GUARANTEE** BATTLEGROUND KIA is the Carolina's low price leader! We Want your trade-in! Before you sell your trade-in to www.carmax.com or list it for sale on www.autotrader.com or www.ebay.com, call one of our internet managers for an online trade evaluation at 1-877-751-6303. We will pay you $300 more than CarMax. We are conveniently located at 2927 Battleground Ave. Greensboro N.C. 27408. All prices are plus tax, tags, $650 lease acquisition fee, and 599.50 dealer admin fee.On approved Credit. Low price guarantee: must have signed buyers order with VIN, must show available in Kia Dealer Inventory, have identical equipment and no trade in.3rd row seats: split-bench, 6 Speakers, Alloy wheels, Blind spot sensor: Blind Spot Collision Warning warning, Exterior Parking Camera Rear, Heated door mirrors.2019 Kia Sorento LX 22/29 City/Highway MPGBattleground Kia in Greensboro, NC was built with one mission - Provide amenities to guarantee customer satisfaction before, during, and after the sale of our vehicles. Our commitment to customer service is second to none and we offer one of the most comprehensive Kia parts and Kia service departments in the Carolinas. We serve customers from all over the Triad and Triangle. Our Customers come from Winston-Salem, Burlington, Asheboro, Lexington, High Point, Kernersville, Clemmons, Mocksville, Colfax, Pleasant Garden, Jamestown, Archdale, Oak Ridge, Stokesdale, Browns Summit, McLeansville, Gibsonville, Durham, Raleigh, Danville, Hillsborough, Statesville, Concord, Salisbury, Rocky Mount, Fayetteville and MORE just experience Battleground KIA's award winning customer service! 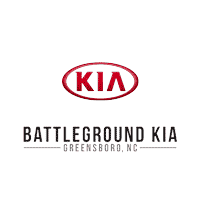 Lease Pricing - SPECIAL TEST MARKET PRICING - Contact Dealer for Purchase Pricing **$500.00 LOW PRICE GUARANTEE** BATTLEGROUND KIA is the Carolina's low price leader! We Want your trade-in! Before you sell your trade-in to www.carmax.com or list it for sale on www.autotrader.com or www.ebay.com, call one of our internet managers for an online trade evaluation at 1-877-751-6303. We will pay you $300 more than CarMax. We are conveniently located at 2927 Battleground Ave. Greensboro N.C. 27408. All prices are plus tax, tags, $650 lease acquisition fee, and 599.50 dealer admin fee.On approved Credit. Low price guarantee: must have signed buyers order with VIN, must show available in Kia Dealer Inventory, have identical equipment and no trade in.3rd row seats: split-bench, 6 Speakers, Alloy wheels, Blind spot sensor: Blind Spot Collision Warning warning, Exterior Parking Camera Rear, Heated door mirrors, Radio: UVO Play w/AM/FM/MP3.2019 Kia Sorento LX 22/29 City/Highway MPGBattleground Kia in Greensboro, NC was built with one mission - Provide amenities to guarantee customer satisfaction before, during, and after the sale of our vehicles. Our commitment to customer service is second to none and we offer one of the most comprehensive Kia parts and Kia service departments in the Carolinas. We serve customers from all over the Triad and Triangle. Our Customers come from Winston-Salem, Burlington, Asheboro, Lexington, High Point, Kernersville, Clemmons, Mocksville, Colfax, Pleasant Garden, Jamestown, Archdale, Oak Ridge, Stokesdale, Browns Summit, McLeansville, Gibsonville, Durham, Raleigh, Danville, Hillsborough, Statesville, Concord, Salisbury, Rocky Mount, Fayetteville and MORE just experience Battleground KIA's award winning customer service! Lease Pricing - SPECIAL TEST MARKET PRICING - Contact Dealer for Purchase Pricing **$500.00 LOW PRICE GUARANTEE** BATTLEGROUND KIA is the Carolina's low price leader! We Want your trade-in! Before you sell your trade-in to www.carmax.com or list it for sale on www.autotrader.com or www.ebay.com, call one of our internet managers for an online trade evaluation at 1-877-751-6303. We will pay you $300 more than CarMax. We are conveniently located at 2927 Battleground Ave. Greensboro N.C. 27408. All prices are plus tax, tags, $650 lease acquisition fee, and 599.50 dealer admin fee.On approved Credit. Low price guarantee: must have signed buyers order with VIN, must show available in Kia Dealer Inventory, have identical equipment and no trade in.3rd row seats: split-bench, 6 Speakers, Alloy wheels, Blind spot sensor: Blind Spot Collision Warning warning, Exterior Parking Camera Rear, Radio: UVO Play w/AM/FM/MP3.2019 Kia Sorento LX 22/29 City/Highway MPGBattleground Kia in Greensboro, NC was built with one mission - Provide amenities to guarantee customer satisfaction before, during, and after the sale of our vehicles. Our commitment to customer service is second to none and we offer one of the most comprehensive Kia parts and Kia service departments in the Carolinas. We serve customers from all over the Triad and Triangle. Our Customers come from Winston-Salem, Burlington, Asheboro, Lexington, High Point, Kernersville, Clemmons, Mocksville, Colfax, Pleasant Garden, Jamestown, Archdale, Oak Ridge, Stokesdale, Browns Summit, McLeansville, Gibsonville, Durham, Raleigh, Danville, Hillsborough, Statesville, Concord, Salisbury, Rocky Mount, Fayetteville and MORE just experience Battleground KIA's award winning customer service!